Take a look at this amazing kitchen upgrade! Beautiful granite counter tops, stainless appliances, built in DR table with bench seating. All the bells and whistles. 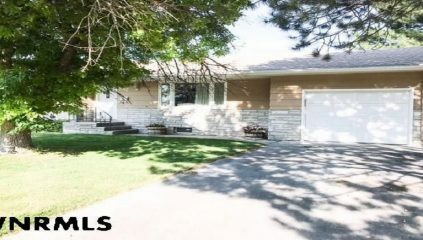 Wonderful ranch style home with 3 bedrooms on the main and 2 bedrooms down. Great use of space throughout this home. Large fenced backyard, nice shade trees, shed that could be an additional single car garage. Perfect garden spot for that green thumb. GFA/CA, updated flooring, lights, cabinets, etc. Check out this new floor plan and make it yours today.